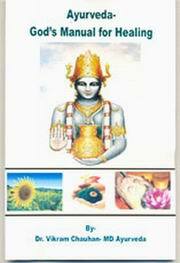 This book is meant for people interested to know about basics of Ayurvedic healing. Though there are many books on Ayurveda, but this is a unique small book on ayurveda covering basics of Ayurveda and Ayurvedic healing. This book covers all basic aspects of Ayurvedic healing. This is useful not only for general public but also very helpful for Ayurveda students, Patients, Ayurveda lovers and people interested to learn Ayurvedic healing. Dr. Vikram Chauhan is an MD in Ayurvedic medicine and has vast experience in writing on various topics. He writes for various news papers (national and international).